One of the scariest and most gripping novels of all time is brought vividly to life in this graphic novel retelling created by renowned comic and graphic novel artist, Anthony Williams. Makes a great gift for comic or graphic-novel enthusiasts and provides an appealing introduction to the world of literature for reluctant readers. Mary Shelley was born in 1797, the daughter of the feminist Mary Wollstonecraft and philosopher William Godwin. She wrote numerous short stories, essays, biographies, travel accounts and novels, but her most iconic work is Frankenstein, which was published in 1818 and remains one of the greatest horror stories ever written. 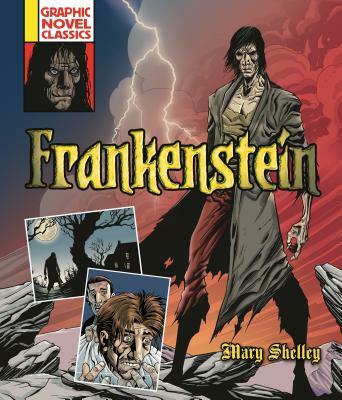 The idea for Frankenstein came to Shelley while she was on holiday with friends, and each took it in turns to tell ghost stories in the evenings. The group included Mary's partner and future-husband, the Romantic poet Percy Bysshe Shelley. Mary Shelley died in 1851.